The Ferrocarril del Urola was a narrow gauge railway linking the towns of Zumarraga and Zumaya in the province of Guipuzcoa in the Basque province, which lasted from 1926 to 1986, dismantled by the beginning of February 1988. 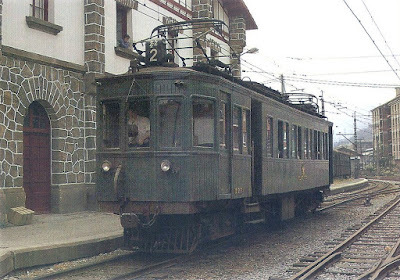 It was the first electric railway in Spain. 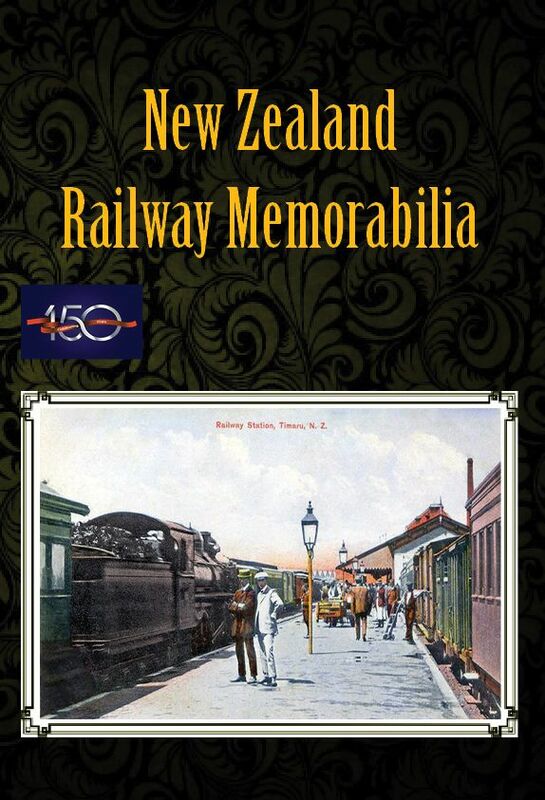 The Urola rolling stock fleet remained unchanged from inauguration in 1926 until final closure in 1988. 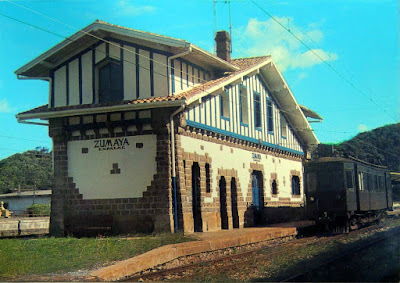 Some of the operation became a museum after this and its locomotives and cars passed from transporting passengers to be exhibited as historic vehicles in the same workshops and garages that served their maintenance. 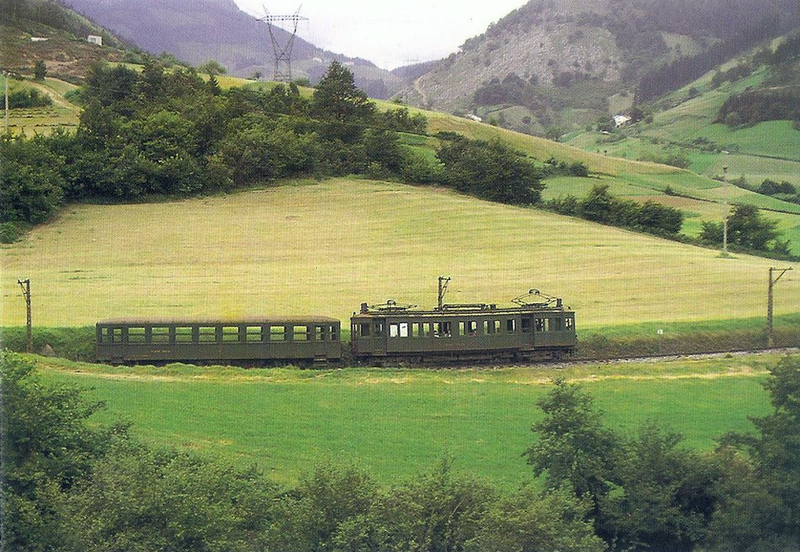 * Seven Siemens powered cars with 4 engines of 75 hp each and wood bodies of type Carde and Escoriaza . 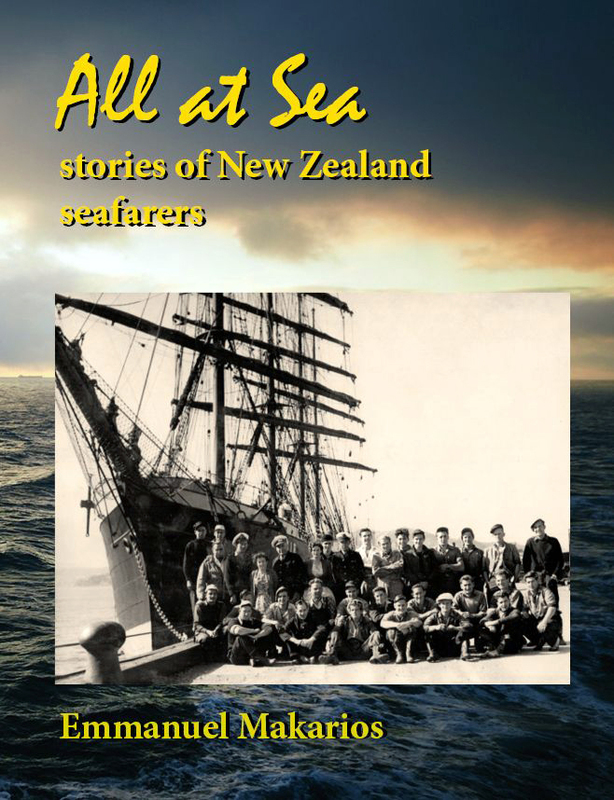 They had seating capacity for 30 passengers. This matériel was denominated Mª1 to Mª7. 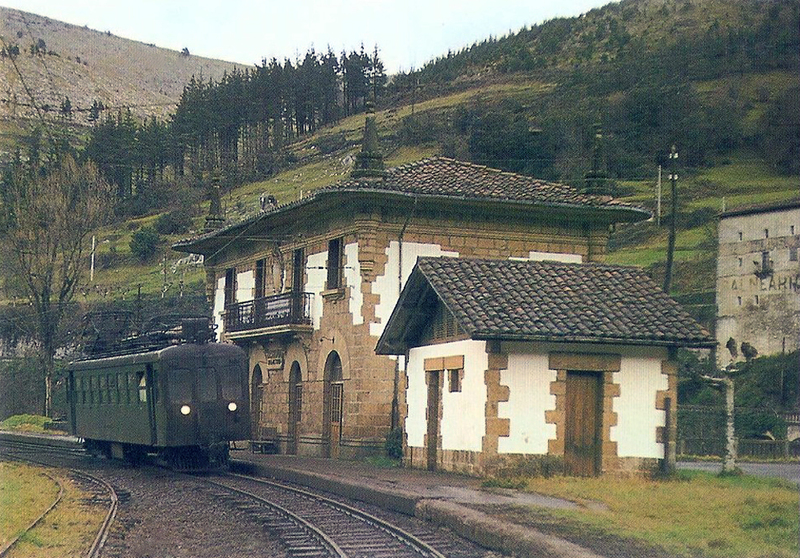 Unit Mª3 underwent modification at CAF in which it was endowed with a metal body after an accident. * Three Siemens goods railcars, Mm1 to 3, with a load capacity of 15 tonnes. They also had a wood body of type Carde and Escoriaza. 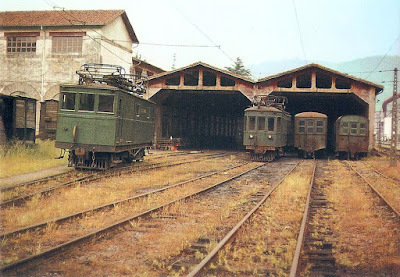 They were rebodied: two in metal by CAF: unit Mm1 in 1954 and Mm3 in 1957; the other, Mm2, in wood in 1960. * Seven passenger cars of series A with metal bodies. 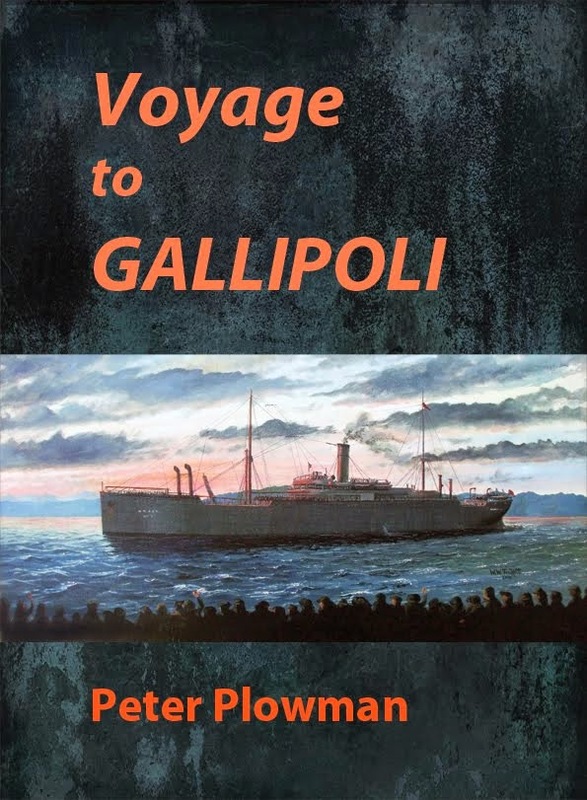 They were built by the CAF and consisted of two compartments with 18 seats each; One was lounge class (with upholstered seats) and the other a single-class with wooden seats plus a toilet and a luggage compartment. The bogies were of Pennsylvania type. * Seven passenger car series B of metal bodies. They were built by the CAF and had a single compartment with 48 wooden seats. The bogies were of Pennsylvania type . * Seven passenger cars series C with wood bodies. They were built by the CAF and had a single compartment of 48 seats in wood and balconies at the ends. They had Diamond type bogies.They were denominated C1 to C7. Wagons C6 and C7 were changed in 1933 by reducing the compartment by half, leaving only 24 seats and forming a van with the rest of the space In 1961 car C6 was scrapped; in 1964 car C7 likewise; in 1976 C1, and C3 and C5 in 1990 . The other two, C2 and C4, became part of the collection of the Basque Railway Museum. * Two mixed wagons with a van and 48 seats. Built in Azpeitia after 1965 taking advantage of the remains of the Ferrocarril de Bidasoa. They were designated C6 and C7. * Eighty-one freight cars were manufactured by Sociedad Talleres de Miravalles.